Why you should Use XFT? XFT contains a compound which makes your fuel ignite quicker in your engine – creating a longer, better burn of the fuel. This means that you actually burn more of the injected fuel- whereas most vehicles waste a good portion of unused fuel as exhaust. By Using XFT, you get more efficiency out of the fuel that you already use. You will go farther on a tank of fuel. Based on hundreds of tests and user feedback, XFT can save you between 7% and 20% on your fuel costs – Gasoline (Petrol) or Diesel. A 150 gallon (570 Litre) tank of fuel at a 12% savings would save 18 gallons (69 Litres) per fill-up. Do the math. And many are saving much more than that! 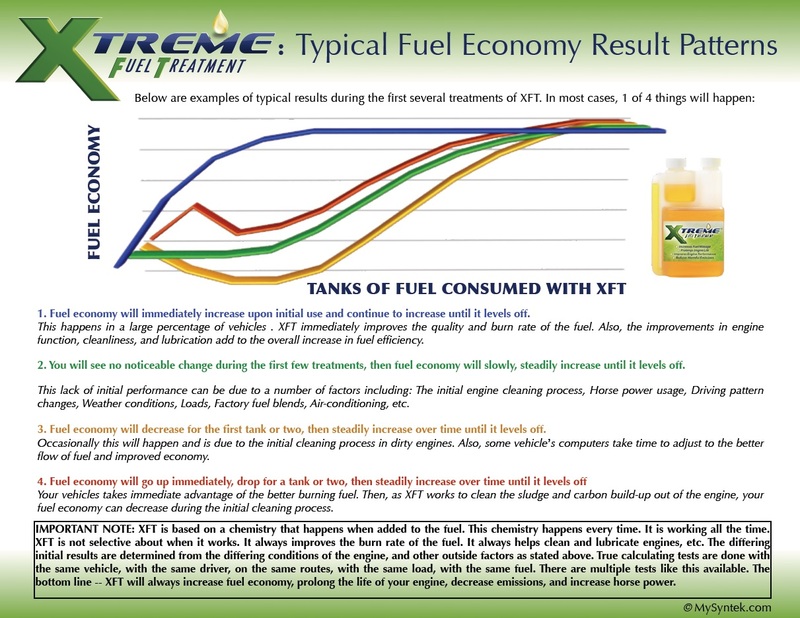 By altering the burn-rate of your fuel (and other fuel improvements) XFT makes even low grade fuel behave like high-quality or premium fuels, eliminating the need for higher octane or other more expensive fuel. XFT uses a combination of ingredients — Detergents, Demulsifiers, Rust & Corrosion Inhibitors, Lubricating Agents, and Polymerization Retardants. All these work together to keep things clean, remove existing deposits, reduce friction, stop water damage, which keeps your engine & fuel system working and running smoothly. Your vehicle will run longer and smoother, without all the problems that come with a dirty, sludge-filled, corroding, sluggish, polluting engine. This will save you money on unneeded repairs and allow your current vehicle engine to last you much, much longer, eliminating the need to replace or repair the engine nearly as often. By using more of the available fuel, and improving the combustion process in the engine You have less harmful emissions produced and coming out as exhaust. 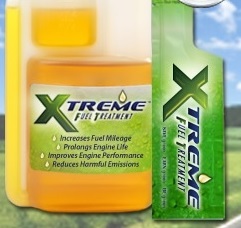 XFT is proven to reduce your harmful emissions substantially. Some tests show over 40% reduction in Hydrocarbons and Carbon Monoxide emissions. This can save you money when it comes to emissions inspections or tune-ups. XFT is also very good for the environment and is a way for yourself or your company to become more ‘green’ without changing how you do business. You may have heard that products like this are a myth. You may have heard that fuel additives don’t work, or that they will void an engine’s warranty. FACT: Many products don’t do what they claim and are ineffective. However, this product is patented because of what it DOES. It works. FACT: An act of US congress says it CANNOT void your warranty. Petroleum based fuel will separate and lose its efficiencies rather quickly. One great feature of XFT is that it acts as a super-effective fuel stabilizer, allowing your fuel to be stored for years without going bad. You no longer have to empty or replace the fuel that sits in storage tanks or seasonal equipment such as recreational vehicles, boats, lawn mowers, and storage tanks. That can also save you a substantial amount of money..
Why Does This Product Work So Well? XFT has been time-tested for over 20 years and utilizes nobel prize winning chemistry to pack a powerful punch when treating your fuel. 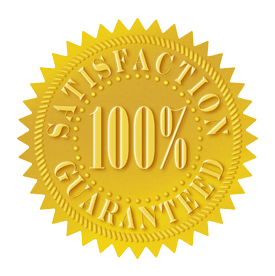 We’ve logged over 2.5 billion miles with XFT and we have a 100% MONEY BACK GUARANTEE! The oil-soluble organo-metallic compound found in XFT simply means it can easily mix with other oil-based products evenly without any problems of separation or an uneven concentration in the fuel. If you use a pill or tablet form of an additive, it must dissolve and be dispersed through the fuel tank before it can even get into your engine and by the time the tablet or pill is completely dissolved you’ve already burned through precious amounts of fuel. There are many sizes available for XFT. XFT comes in 1/4oz. foil packets, 2oz bottles, 4oz bottles, 8oz bottles, 16oz bottles, 1 gallon jugs, and even 55 gallon drums. Each 1/4 oz of XFT treats 20 gallons of fuel. Get started with one of our 6 tank challenges!